"May Ra look over us each and every day!" "What is new along the nile today?" The next set of photos are up for your virtual tour of Ancient Egypt. I have now moved you on to the Temple of Philae. Make sure to read up on Philae by clicking here. When you are done there move onto the photo gallery over here. Each photo has a full description of the area to help you get around. Click here for a map of the Temple of Philae to help guide you. More areas to be posted soon, stay tuned! 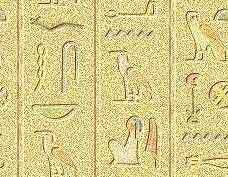 Don't forget to try and use the Hieroglyph Translator. The photo tours will continue to be organized by area released quarterly series by location and moving along. If anyone has special requests do not hesitate to write them into me. As well as to all the students, teachers, and all those just interested in Ancient Egypt for fun who write with their questions I am doing my best to get to each and everyone of you. Thank you for visiting and come again! NEXT ISSUE: "Stay tuned for so much more to come!"